This combination of herbs can help to improve mental performance, promote calmness, and help clear the mental fog brought about due to our brain performing the hundreds of demanding and complex tasks required each day. INGREDIENTS: Gingko Biloba, Clary Sage, Peppermint, Gota Kola, Cinnamon, Yerba Mata, Rosemary, Phospatidyl Serine, Vinpocetin, Habenero Pepper, Jujuba Seed, Kola Nut, Calamus, Hawthorn Berry, Blessed Thistle, Distiled water. 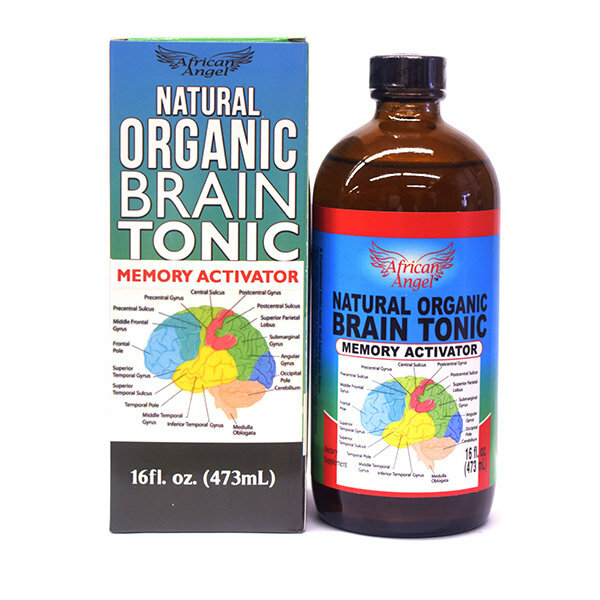 Directions: Adults, measure 1oz of Natural Organic Brain Tonic and drink 3 times a day after meals. Not to be taken by children under 12 years.